The nation is deeply hurt over the Sahiwal tragedy. If it had its way, it would have joined the aggrieved family’s protest out in the streets and would have torched everyone in uniform taking him to be villain in the situation. The tragic irony is when the CTD personnel involved in the mayhem failed to cover up their blood littered trail of horrendous massacre, their collaborators switched on a push button operation for orchestrating that those killed in their ‘legitimate encounter’ were terrorists and they had been tipped off to eliminate them, as disclosed by the Punjab law minister. That shameless ruffian masquerading as a PTI politician must have shamed his party Fuhrer, Prime Minister Imran Khan, by his callous statement that the little girl riddled with bullets was a collateral damage. I hope the PM would not swallow this preposterous statement as an excuse to condone the killings and that he would keep his promise to punish the CTD criminals in a manner to teach all the uniform law-enforcers a lesson to be law abiding, respectful to life and not to be ruthless with civilians. I am confident that Prime Minister Khan would adopt this course of action given his initial reaction on seeing the parents being killed in front of the children was truly emotional and reflective of his genuine feeling of remorse. In 2016, when then Punjab Chief Minister Shehbaz Sharif was in power, reports emerged of a criminal racket involved in sexual abuse of children for monetary gains. Initial reports indicated that big wigs including Punjab assembly members belonging to PML-N were involved in the crime, making pornographic videos for export to international market on the dark web. It was a trade worth millions-of-dollars. How powerful were the tentacles of the master minds that immediately after the burst, their agents in the police and media came out with defence of the criminals and the report by the JIT was neither here nor there. Some even blamed independent TV channels of making a mountain out of a mole hill-in a much similar manner that one is seeing in the defence of the CTD by retired generals, brigadiers and various forums in Whatsapp groups, obviously with their wires plugged in the right quarters. Believe it or not, supporters of CTD have even come up with the argument that such incidents do take place in advance countries as well but no populist rumpus is created. The nation is deeply hurt over the Sahiwal tragedy. If it had its way, it would have joined the aggrieved family’s protest out in the streets and would have torched everyone in uniform taking him to be villain in the situation. Plethora of social media messages from dubious characters obviously known for their hand and glove relationship either with CTD or JIT or the powers that be are coming out vociferously in defence of the defenseless. Their very first sentence lets the cat out of the bag. ‘CTD has done wonders in fighting terrorism, one error of judgement by it in a single operation does not mean that the entire institution should be condemned and held responsible for the cold bloodied murder of four innocent persons including children on their way to attend a wedding’. This is the general theme of the social media blitzkrieg in support of CTD criminals. When I asked a friend in the knowledgeable quarters what is the purpose of CTD and when was it established I was told by him that “CTD was another landmark initiative. Highly educated corporals (1200 in number) were inducted and given most modern training with the collaboration of the armed forces and friendly countries. These corporals were meant to be deployed all over the province to fight terrorism and various Lashkars that had their comfortable holes all over Punjab”. 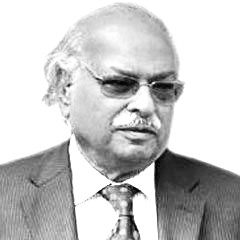 His disclosure further revealed that it was a sort of a more modern version of the Federal Security Force (FSF) of Masood Mehmood that was used by General Zia for the elimination of Prime Minister Zulfikar Ali Bhutto. The purpose of the CTD’s creation was to establish a para-military force that could be used in Punjab instead of Rangers but for the same purpose to maintain law and order and keep the political opponents tamed. Abdul Quayyum Khan Kundi titled: ‘SAHIWAL INCIDENT AND LADLA’. Kundi Sahib is a leading lawyer known for his commitment to democracy and rule of law. He was also an old member of PTI, its parliamentary candidate and is a man with independent thinking. His pieces are well thought out, he has clarity of views and his expression too is flawless. In his analysis of the Sahiwal tragedy, the end result is that four citizens lost their lives and three children were orphaned. What will happen next? A lot of selfies will be taken by Ladla government officials and everyone in a position of power will issue a statement of condemnation as well as make false promises of ensuring such events would not be allowed to happen again. After all these high sounding statements this incident will be added to 100s of other such incidents where the state failed to protect citizens. Everyone will forget about it and we will all move on with business as usual. Judges will remain busy building dams, visiting hospitals, and controlling population. They will have no time to visit police stations and reform judiciary as it is not something that attract the media and excites people.